‘Ristretto’, is perhaps one of the least familiar terms on a coffee menu, but it’s a drink that holds considerable charm. Espresso or ristretto? It’s all about ratio. Ristretto is made in a very similar way to espresso; the process uses a machine to pass hot water (90-93°C) through a filter basket containing compacted, dry, finely ground coffee at high pressure. Like espresso, the force of the extraction results in an intense flavour profile and gorgeous syrupy mouthfeel. The difference between espresso and ristretto begins with the size of the drink that is produced. In both cases, the same amount of dry coffee is used, but for a ristretto, or ‘restricted’ shot, less water is allowed to pass through it. Typically, around 15g of dry coffee goes into making an espresso and 60g come out, with the resulting drink weighing in at 25-30g. 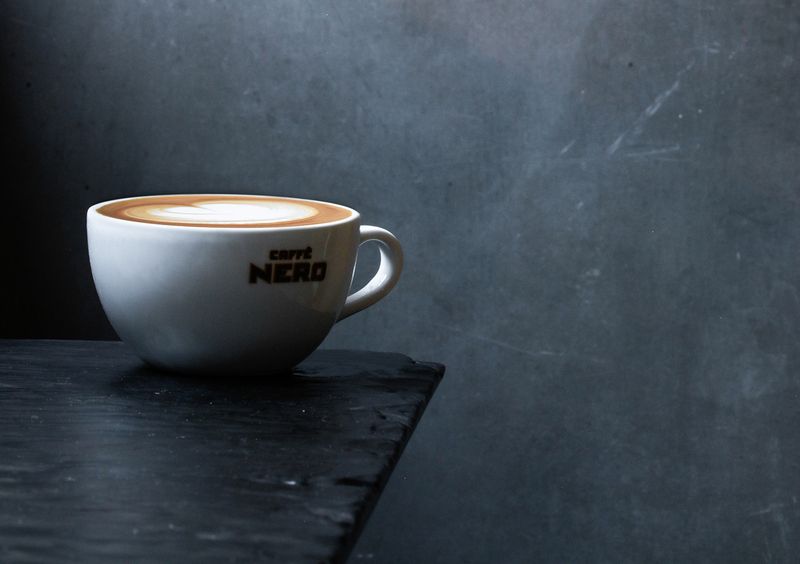 For ristretto, our brewing ratio is 1:2 – 15g in and 30g out. There are a few slightly different ways to achieve this, but the most common (and the way our baristas will pull your ristretto) is to set up a normal espresso shot and stop it after 15 seconds, or about halfway through the normal espresso extraction process. The resulting shot of coffee is much shorter and typically a slightly more viscous consistency – both due to the reduction in water that has been used to brew it. However, the most important differences between ristretto and espresso cannot be seen. The real secret of ristretto lies in the fact that the various chemical components of coffee extract at different stages. This is why a ristretto has a character all of its own. The soluble flavour compounds responsible for fruitiness and sweetness dissolve into the water being forced through the coffee more easily. 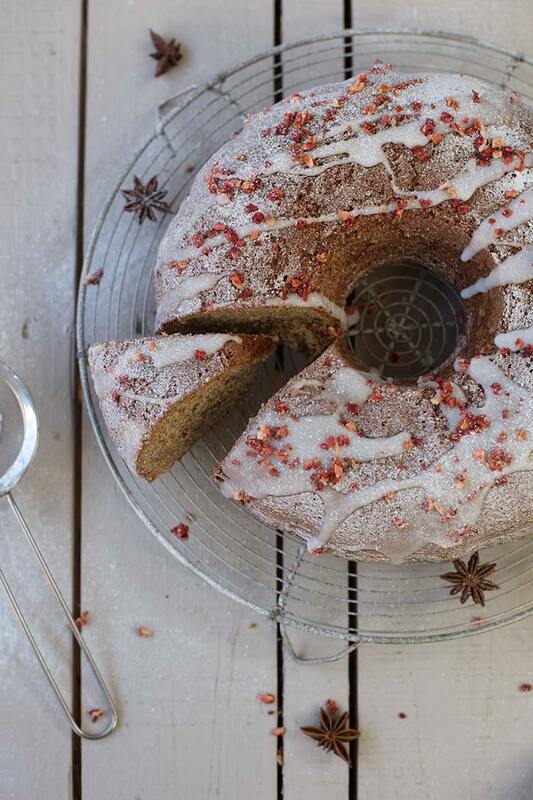 This happens faster than the compounds responsible for caramel, chocolate, and more bitter notes. This means that although the ristretto may not be able to claim the rounded balance of a well-made espresso, drinking one can be an intensely sweet and fruity experience. 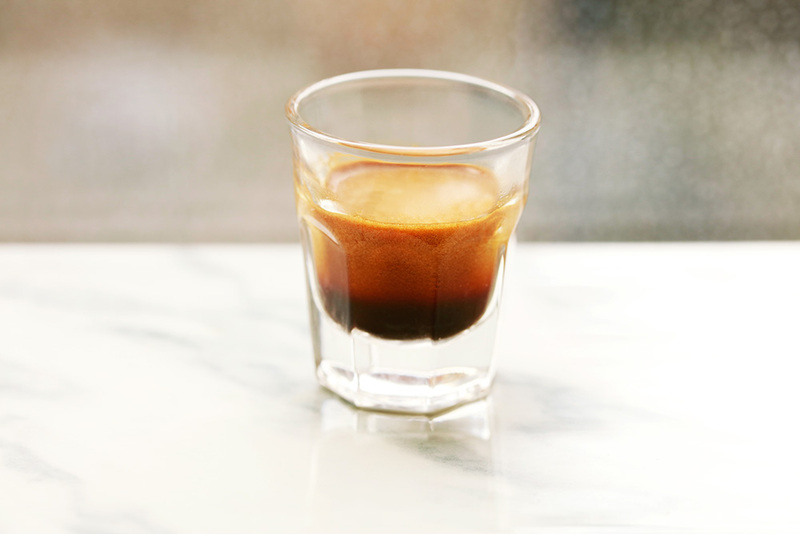 If you like the idea of a short, intense coffee, but have never enjoyed espresso, ristretto could be for you. It is also worth experimenting with ristretto in longer drinks. 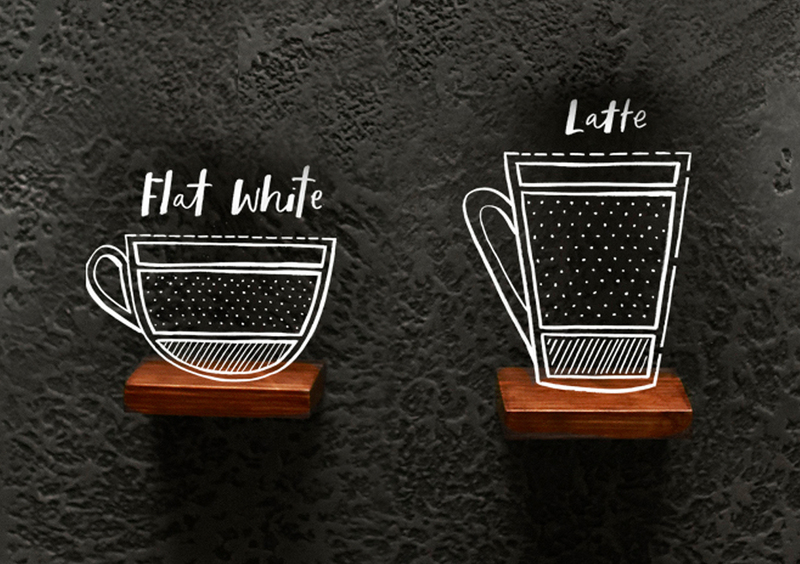 The steamed milk in your cappuccino or latte sweetens and mellows the intense flavours of the espresso it builds upon, and the added sweetness of a ristretto amplifies this process still further. 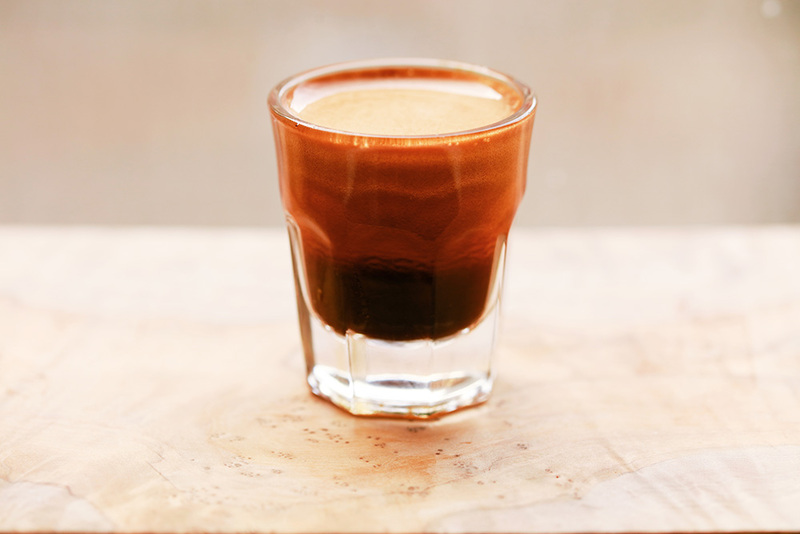 If you order a flat white at one of our cafes, we are already using ristretto shots to take advantage of this, but you may discover that you prefer a ristretto shot in all your coffee.